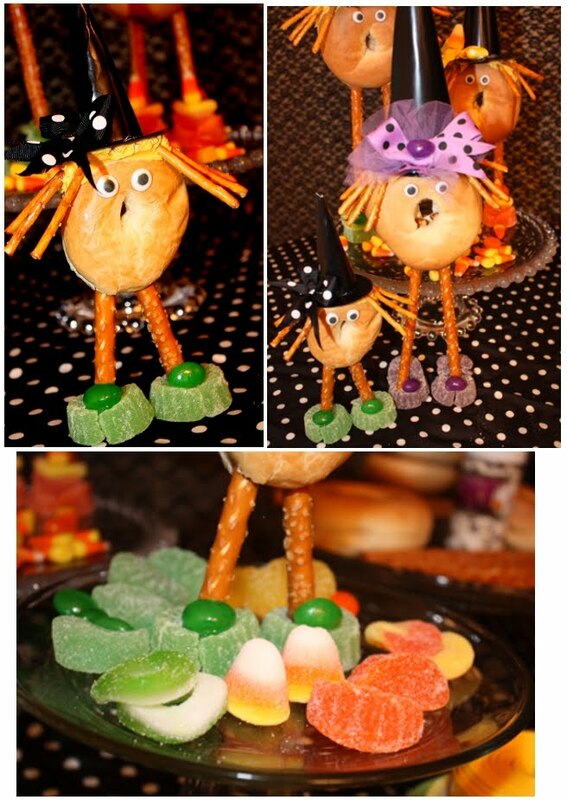 Amanda's Parties To Go: Bagel Witches - How Cute! I couldn't wait to share this adorable idea from Courtney at Pizzazzerie -- BAGEL WITCHES! It doesn't get much cuter than this. 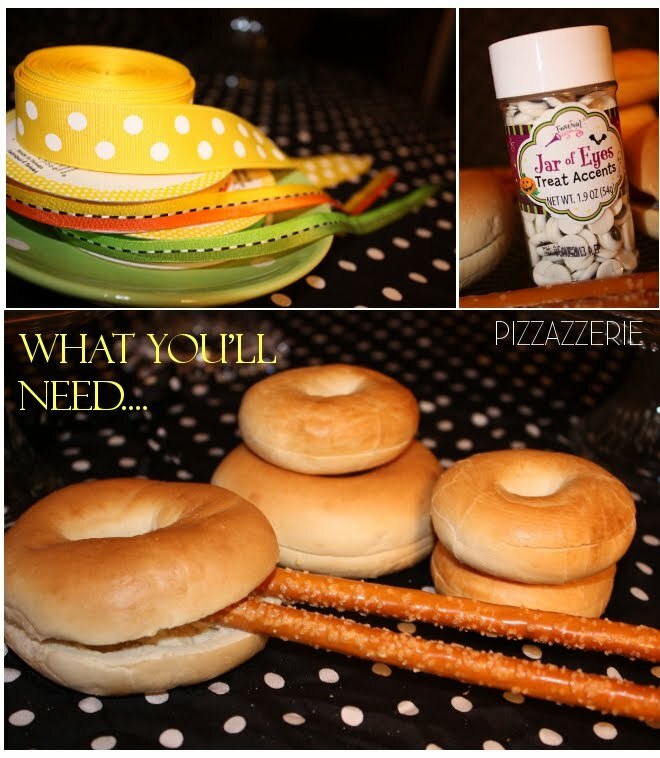 Courtney takes bagels, pretzels, candy corns, gumdrops and a few other supplies and turns the ordinary old plain bagel into a fun craft for kids. 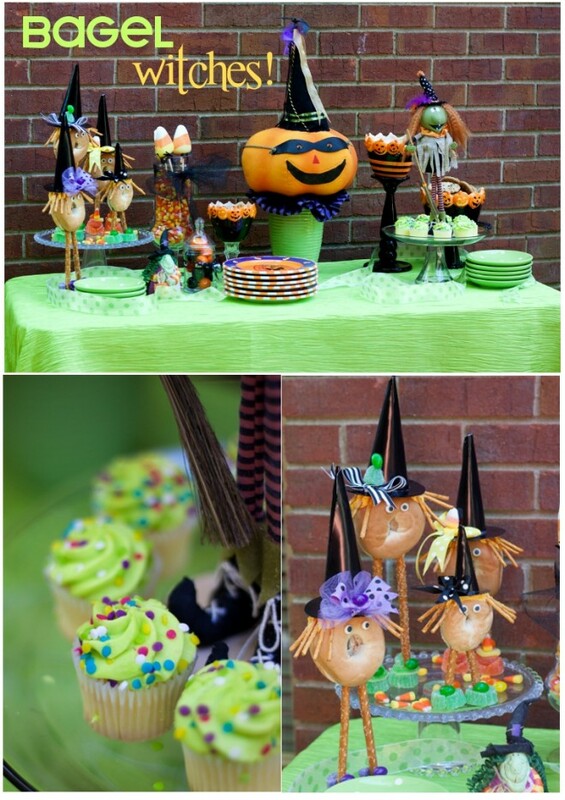 Take a look at her quick tutorial and then go to town making your own creations. Adorable! And I think even better if you use an edible "glue" like white chocolate candy coating to adhere all the cute features to the bagel witches. Let the kids' creativity soar -- set out bowls of candies, pretzels, jelly beans, m&m's and more and let them come up their own super fun designs!